If you’re struggling to get to the next grade or send your projects, don’t worry, you’re not alone. It might be because you’re not training – you’re just climbing – which is fun, but you need a climbing training program! The programs below offer simple step-by-step instructions for what to do each training day. Whether you’re a boulderer or a route climber, a novice or a pro, we have something for you. 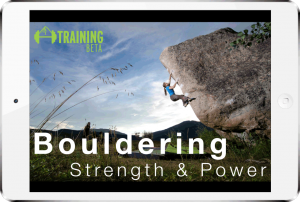 An ongoing subscription program providing 3 new workouts every week that will help any level of boulderer improve their power, strength, and power endurance. It’s an affordable, easy-to-follow, climbing training program that will improve your bouldering quickly. 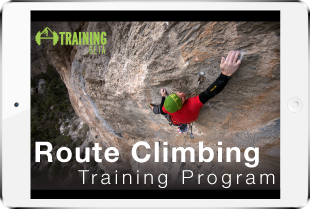 An ongoing subscription program providing 3 new workouts every week that will help any level of route climber improve their power endurance, finger strength, and overall strength. An affordable and easy-to-use program that will improve your route grades. 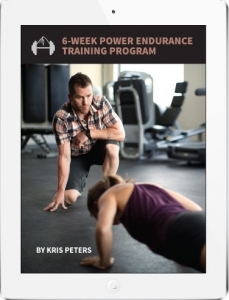 The power endurance climbing training program by coveted trainer, Kris Peters, will make you stronger and more powerful, allowing you to do more hard moves in a row. It’s an affordable, easy-to-follow, downloadable ebook – a program you can do on your own and at your own pace without the cost of a personal trainer. 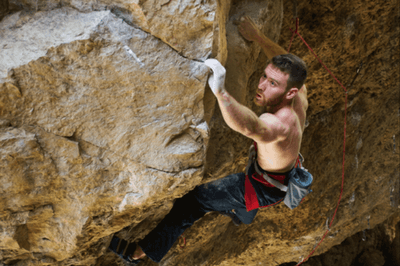 This program by well-respected Red River Gorge climber/trainer, Kris Hampton of The Power Company, will increase your forearm endurance on routes. It’s an affordable, easy-to-follow, downloadable climbing training program (ebook format) that you can do on your own and at your own pace without the cost of a personal trainer/coach. Comprehensive 5-week finger strength training programs for novice, intermediate, and advanced climbers. 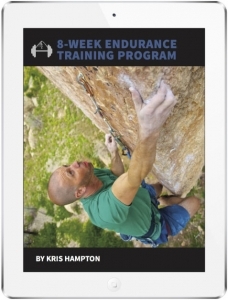 The ebooks are accessible from any device, and they each come with logbooks and supplemental core workouts. 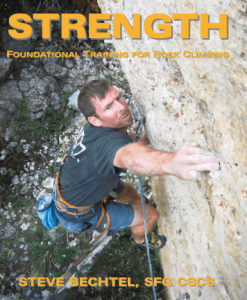 This guide by well-known trainer, Steve Bechtel of ClimbStrong.com, will teach you how to create a strength training program for yourself so you can send harder climbs of any style. It does not contain a workout plan. 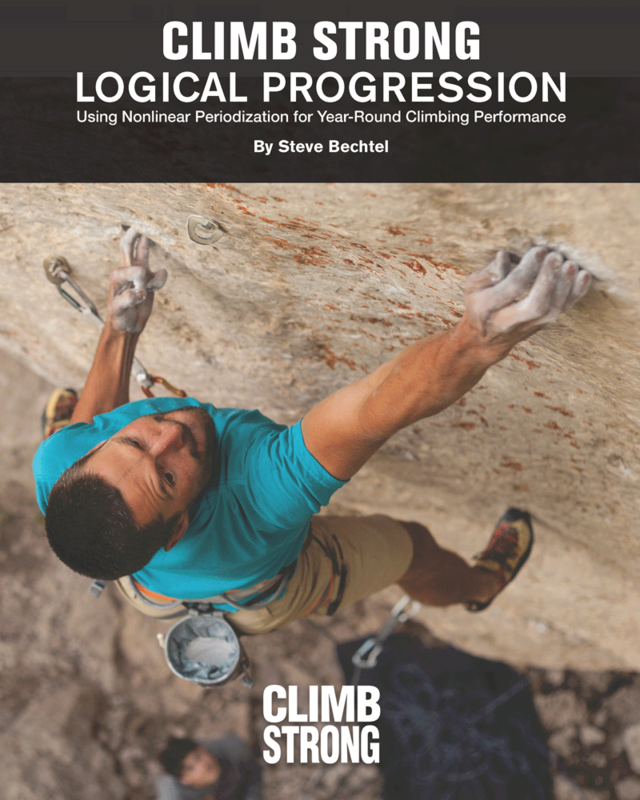 This evolved guide by well-known trainer, Steve Bechtel of ClimbStrong.com, will teach you how to create a flexible year-round training program for yourself so you can send harder climbs even with a busy schedule. The Rock Rehab Pyramid is a step-by-step rehabilitation and injury prevention plan designed specifically for rock climbers and accessed online. The goal of the four-phase process is to take you from the pain, inflammation and tissue overload stage to gain full mobility, strength and eventually pain-free climbing movement. Matt is a seasoned climber and trainer who will provide you with a climbing training program from anywhere in the world based on your goals, your abilities, the equipment you have, and any limitations you have with time or injuries. He does online training for people all over the world, creating 4-week custom plans using the FitBot app. Neely works with climbers from all over the world to help them improve their rock climbing performance by allowing them to train hard, recover well, and get the body composition they want. She will help you find the optimal diet for your individual body to help you be stronger and healthier. 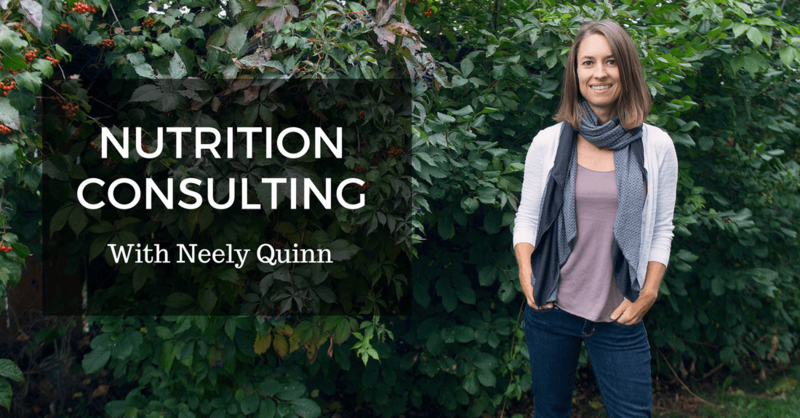 She is the founder of TrainingBeta and a nutritionist by training. Get An Email When New Climbing Training Programs Come Out!